The season-ending poker tournament, Championship Event, sealing the Season 3 of the Hollywood Poker Open (HPO) attracted a field size of 684 entrants at M Resort Casino, in Las Vegas. 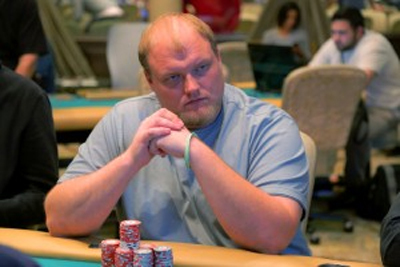 It was a talented poker player from Ohio who emerged victorious in the event. It is about Keven Stammen, the tough one who crushed Joe Serock in the ultimate clash. Indeed, he is crowned Champion of the HPO Season 3 Championship Event and was awarded $ 347,052. Admittedly, Stammen has delivered a stunning performance in this battle. When there were only 16 survivors battling it out on Day 3, everyone faced thin and thick all along the day as it would play down to 10. Tom Dobrolovic, Kyle Frey, Paul Vas Nunes, Pedro Oliveira, Garrett Greer and Steve Warburton were the unlucky ones who failed to reach the final table. Stammen was 5th in the chip count at the start of the final. Highly talented, the man successfully made it through the face-to-face duel. Suprisingly, Joe Kuether and Andrew Fischer, who were part of the favorite title contenders, were prematurely sent to the rail. They respectively fell to 10th and 9th place. Michael Laake, the finals chip leader Rudy Lucas, Jiacheng Gong, Esther Taymor-Brady, Diogo Cardoso and Alex Keating_ joined the bench there-after. The clash between the Albuquerque native poker pro and Stammen did not last any longer than expected. With a pair of kings, Stammen actually knocked Serock out for the win.